Austin Hess joined the Absolute Health Clinic in late 2015 to provide the clinic with much needed support in the areas of business and service administration. Austin earned his high school diploma in 2011, and went on to hold several positions through which he developed strong skills in customer service, stakeholder engagement, problem solving, online support, and sales. The combination of Austin’s professional and personal experience made him a natural fit with the values and philosophy that underpin the clinic. Shortly after graduating from high school, at the age of 18, Austin has been dealing with acute rheumatoid arthritis. This was so severe that he was unable to make use of his legs and move around without the support of extremely potent medication. Austin discovered the Blu Room in 2015, and began participation in an intensive program of multiple weekly sessions since then. This enabled Austin to stop all medication without experiencing any negative impact, and he is currently following a schedule of weekly maintenance Blu Room sessions. Austin’s story is not only a testament to the Blu Room as a healing technology, it also provides him with the perspective of the patient when talking to people who visit the clinic. In his spare time, Austin loves spending time with his son, who he claims is one of his greatest teachers. He also enjoys spending time with family, in the great outdoors, and having meaningful out-of-the-box conversations about uncommon topics. Dr. Eric Basiliere is a licensed Naturopathic Physician in Washington State. He provides adjunct care to patients who want relief from their ailments or simply improve their overall health. He utilizes a wide variety of treatments consisting of diet and lifestyle modifications, nutrition and supplement guidance, intravenous (IV) nutrient therapy, Blu Room™ Light Therapy, pharmaceutical prescribing and botanical medicine recommendations. Blood work, imaging and other diagnostic testing recommendations are available if necessary or requested. His focus is to work with each patient to determine the reasons for their underlying complaints, educate patients about their ailments, and provide multiple treatment options with explanation of benefits that work best for an individualized treatment plan. During each appointment, Dr. Eric provides education about pertinent physiological processes, mechanism of potential disease states, and mechanisms for how treatments can improve a patient’s health. He received his Doctor of Naturopathic Medicine from the National University of Natural Medicine (NUNM) in Portland, Oregon. Prior to naturopathic medical school, Dr. Basiliere received his Bachelor of Arts in Psychology from the University of California, Irvine and continued studying Micro/Molecular Biology at Portland State University. During undergraduate course work, he worked in pharmacy for many years studying pharmaceutical benefits and drawbacks while witnessing these effects upon many patients’ lives. Dr. Basiliere enjoys spending time with his wonderful wife, nature walking/hiking, reading, and continuing to pursue a greater understanding of the human body and nutrition. Tani Walker joined the Absolute Health Clinic in late 2017 based on a desire to use her skills as an IV Specialist in a holistic healing setting. She wanted to provide a compassionate and careful IV insertion for clients. 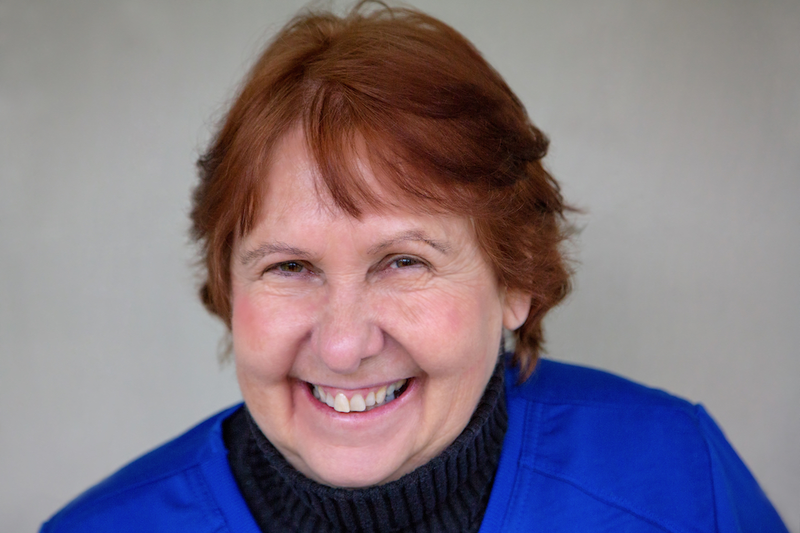 In 1980, Tani earned her her RN degree from the American River College in Sacramento and has been working in a hospital setting for 38 years in areas that include pediatrics, medical, surgical, orthopedic and IV therapy. Tani moved to Washington State in 1988 and loved it so much that she established roots. She is also currently a part-time employee of the St Peter Hospital in Olympia. Tani Considers her employment at the clinic as a dream come true and wants to continue learning and growing in the field of holistic care. In her spare time, Tani enjoys gardening, reading, and an ongoing quest for knowledge, truth and spiritual evolution. Sharon Olson has over 40 years of experience in the Mental Health field, and moved her practice to the Absolute Health Clinic in early 2016. She continues to bring a significant healing presence to her work, and sessions, that refreshes and shifts her approach to counseling and psychotherapy. Sharon is inspired to do healing and share her lightness of heart with clients, to empower and uplift them. Laughing with her clients is said to be one of the greatest gifts she brings to ease their suffering, and create a change of perspective that is life changing. Sharon uses the Blu Room technology to significantly assist her clients’ progress, and create a sense of wonder.